There’s no funding for the trolley in the Columbia’s 2019 budget. “Clang, clang, clang” went the trolley | Last night, the borough councillors decided to buy a trolley. 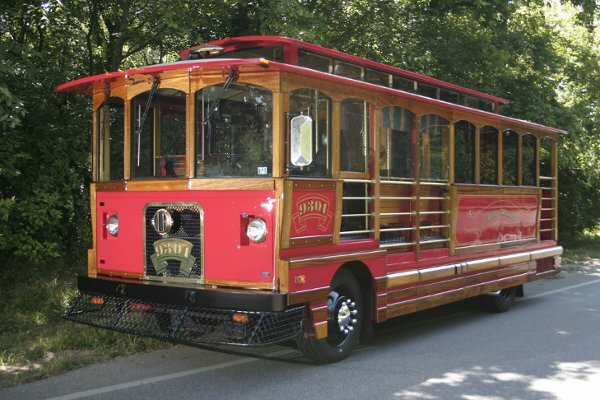 Previously, the borough had agreed to underwrite an existing agreement with the Chamber of Commerce to have Rivertowne Trolley Co., LLC provide trolley rides in Columbia during summer months. Elite Coach of Ephrata initiated a contact with Kathy Hohenadel at the Susquehanna Chamber of Commerce to let her know that the company had a trolley for sale. The call came after Hohenadel subsequently informed the borough’s Community Development committee chairperson about the offer. Several councillors and borough staff made the trip to Ephrata to see, inspect and drive the outfitted trolley (with a 1993 Cummins engine). The trolley is a “classic” with only 53,000 miles. The borough will pay $39,900 for the trolley. Which is in; which is out? | The 2019 Columbia Borough budget bolsters some local local Community Support entities; eviscerates others. You can compare the beginning 2019 budget with the beginning 2018 budget if you want to make time to ferret through the confusion. Farewell to the “Old Maid Schoolteacher” Express!